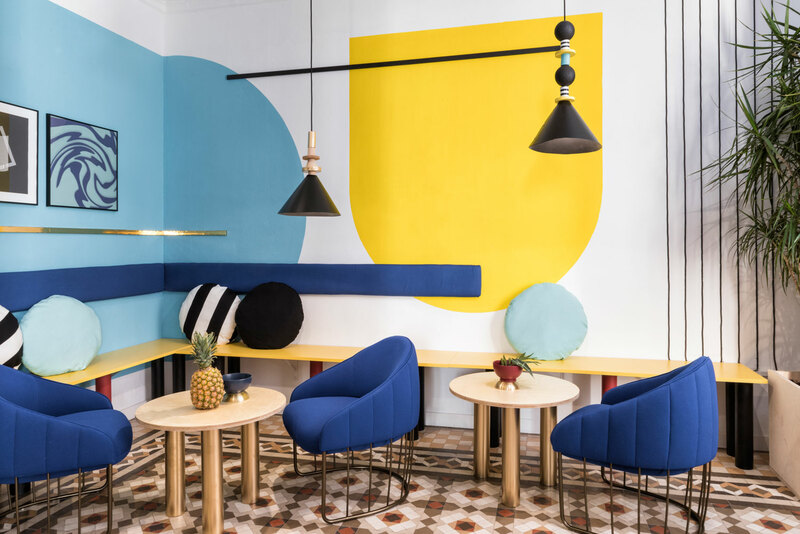 Valencia Lounge Hostel Designed by Masquespacio. 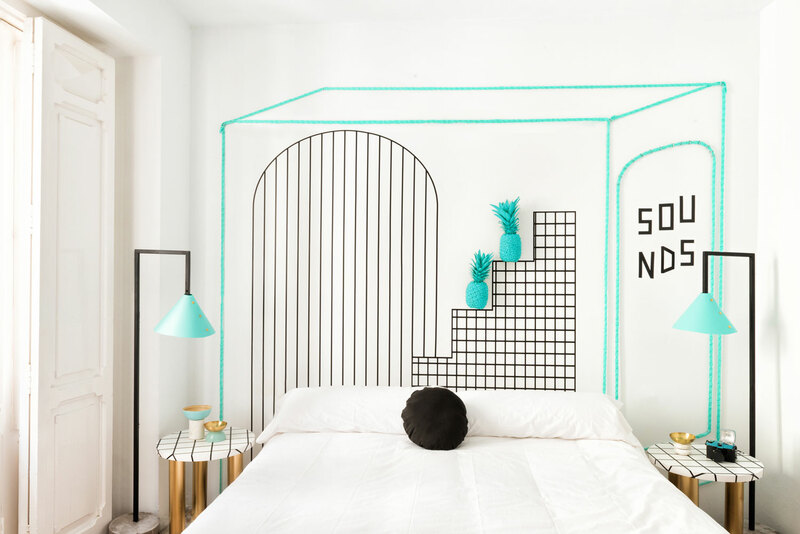 Masquespacio presents their last interior design project for Valencia Lounge Hostel, set within a neoclassical building in Valencia, Spain. 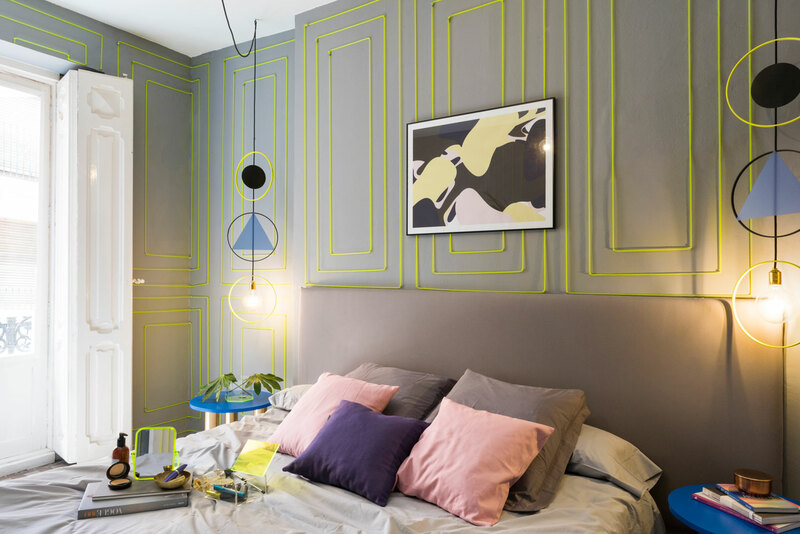 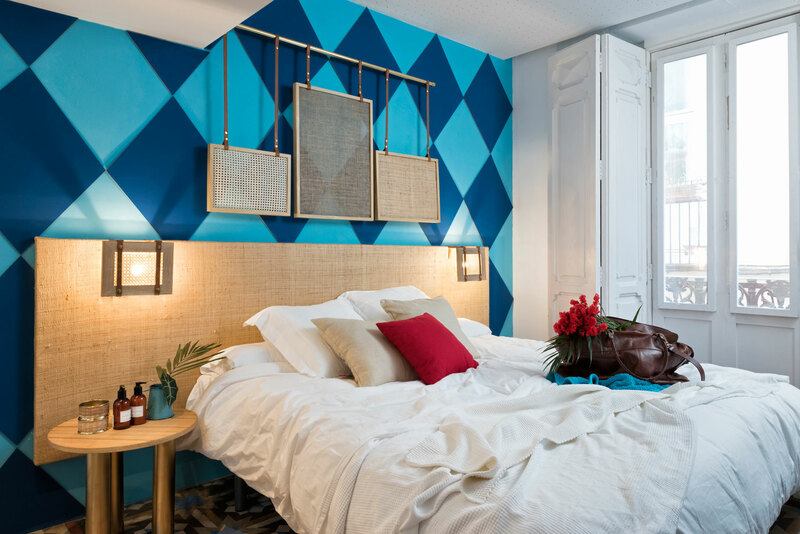 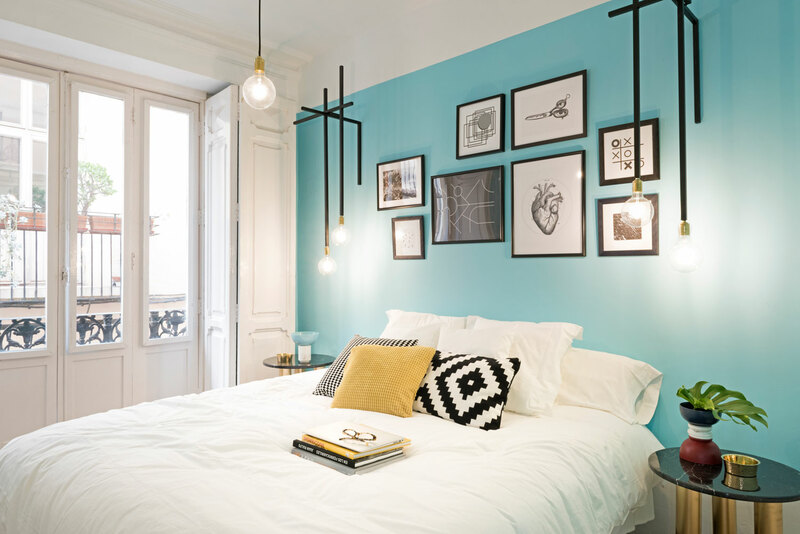 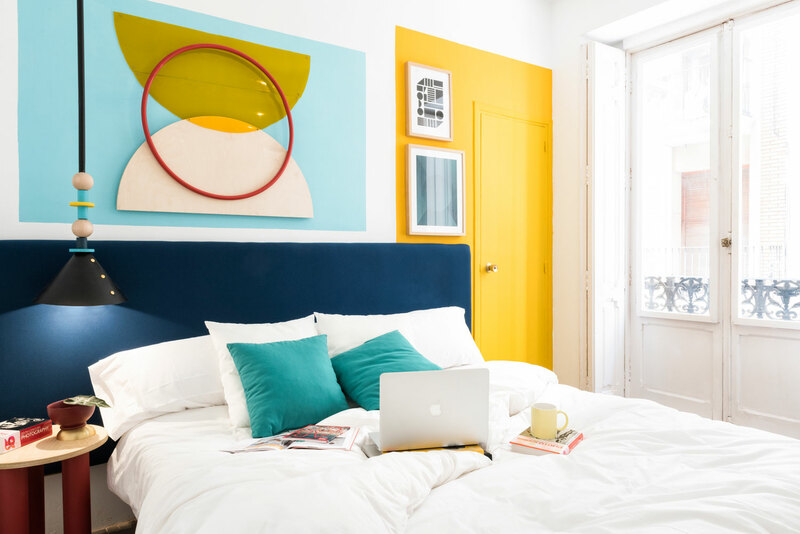 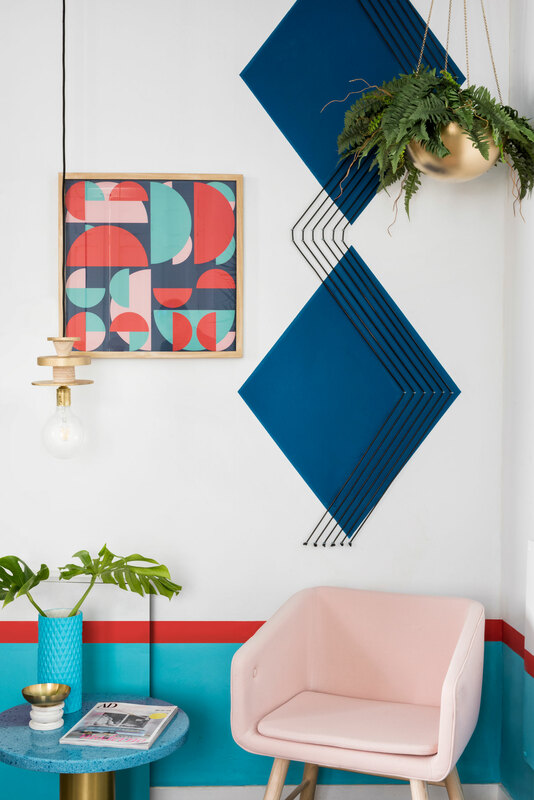 The hostel features eleven rooms across 236sqm, with each space featuring a palette of bright colours, graphic patterns and contemporary finishes. 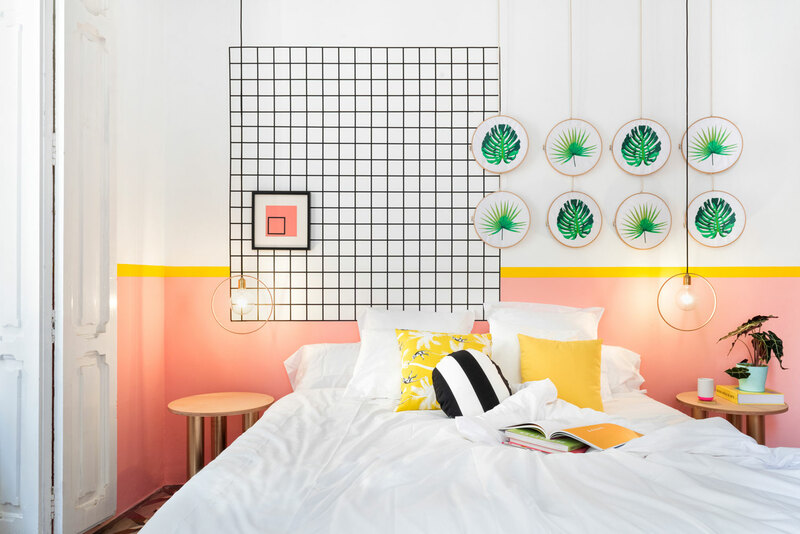 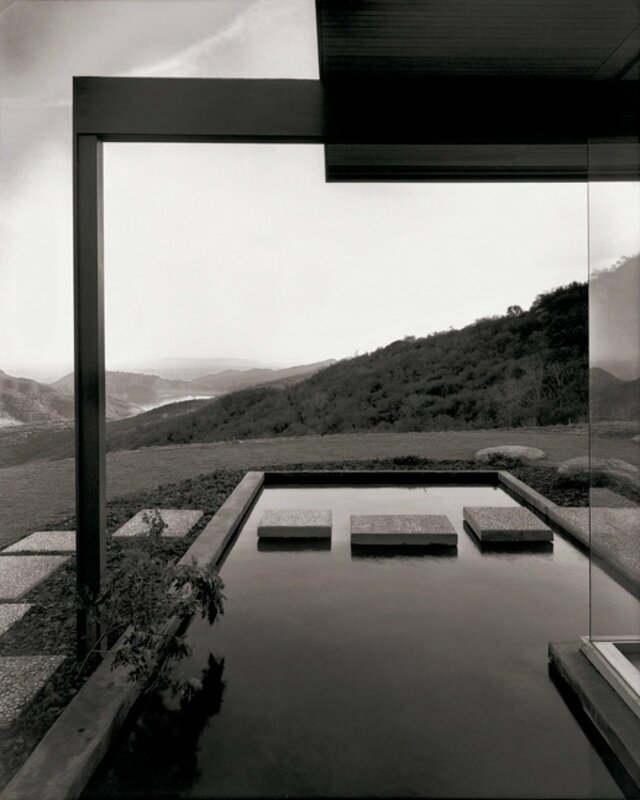 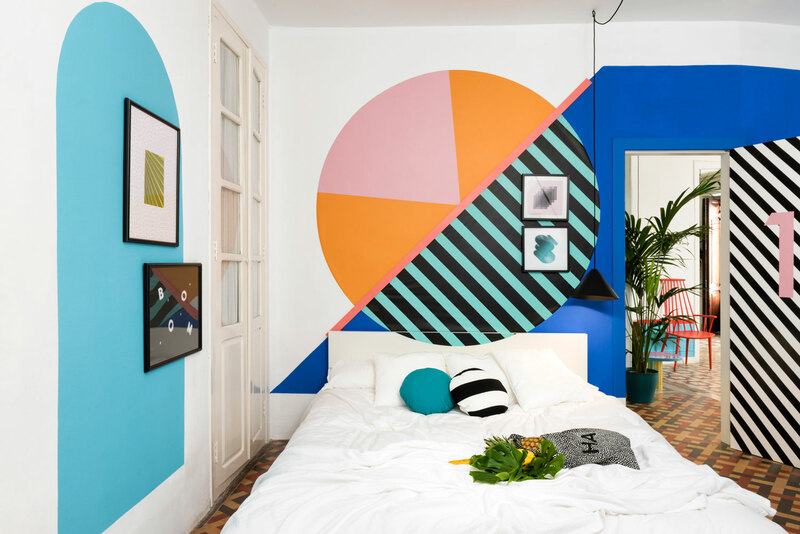 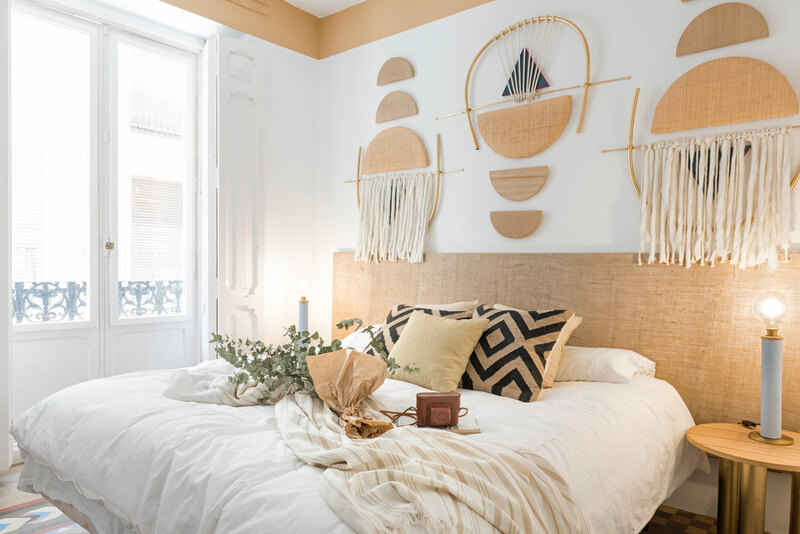 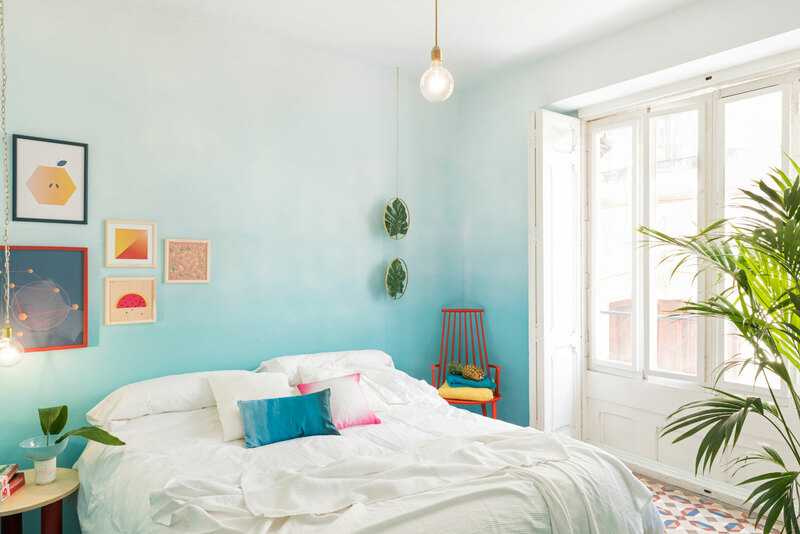 “We wanted to recreate the feeling for the guests that they were staying in a home, but one that makes them dream, disconnect and live a new experience, while they are enjoying holidays,” explains Masquespacio’s creative director Ana Milena Hernández Palacios. 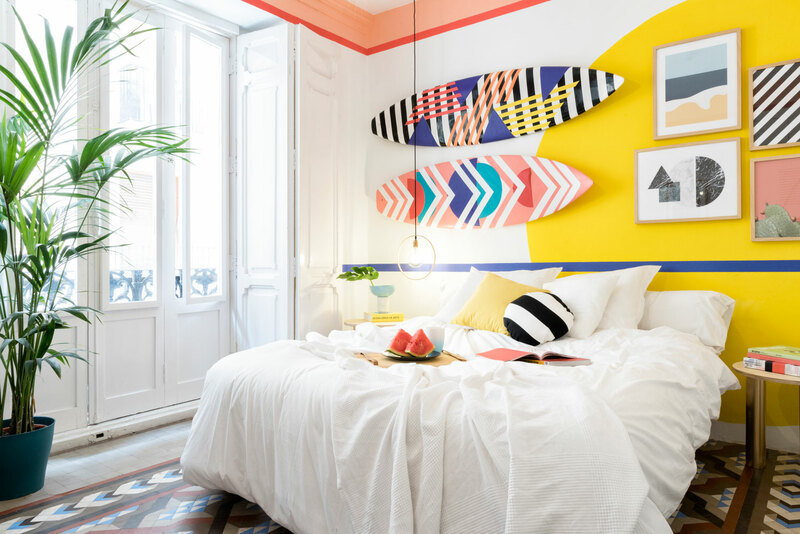 Each room gas been given it’s own identity, with moods ranging from colourful pop-art, Memphis, surf-theme, music inspired and so on. 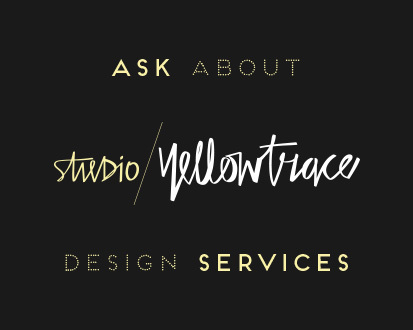 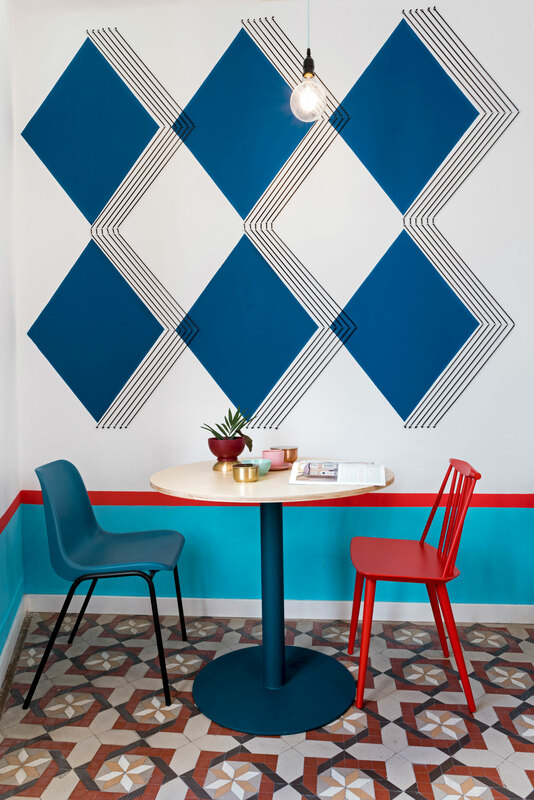 Bold graphic patters were used throughout the entire project, realised by a Spanish creative consultancy. 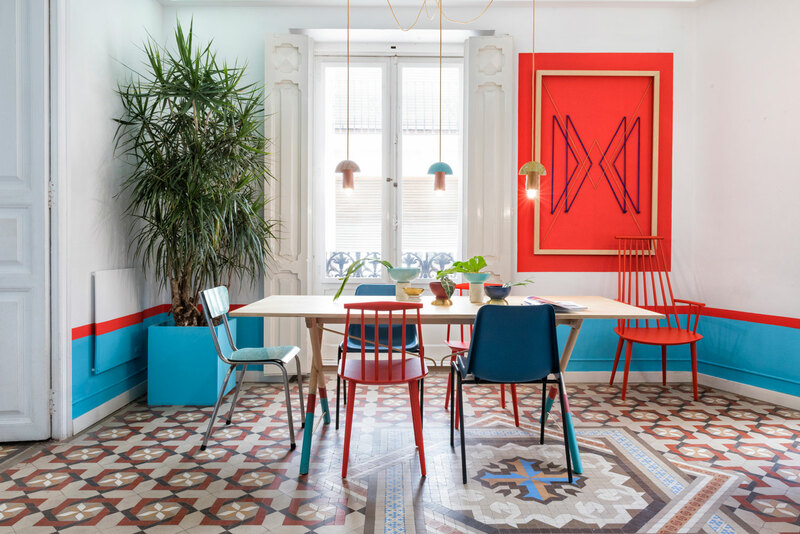 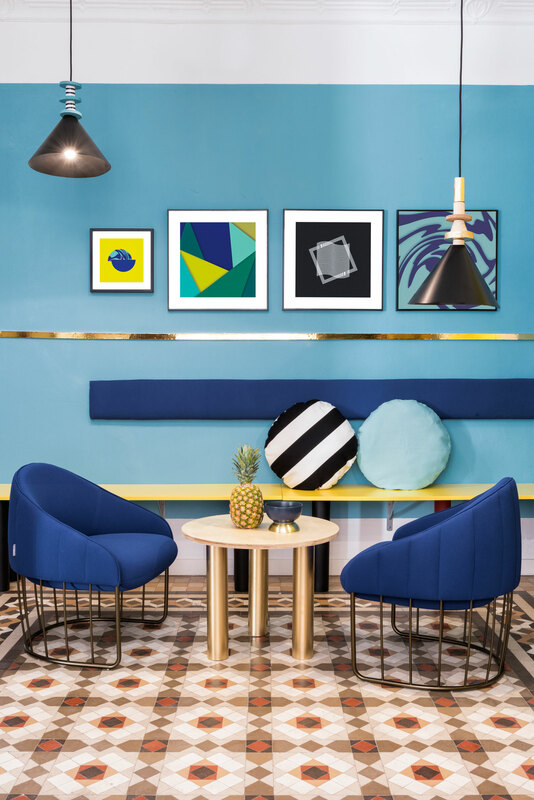 With the exception of the chairs and armchairs, all other furniture, lighting and decorative objects were designed by Masquespacio specifically for the hostel, adding to the theme of personalisation within each space.